As the most intelligent of her pack of starving hyenas, Shenzi resents her bumbling comrades, Banzai and Ed, but puts up with them all the same. When she is not busy looking for scraps of food, she is usually seen playing the role of Scar's lackey in the latter's quest for dominion over the Pride Lands, having been tempted by the belief that Scar would provide her a steady supply of food once he is king. Her attempts to make mince meat out of Timon and Pumbaa are put to a stop by Sora. 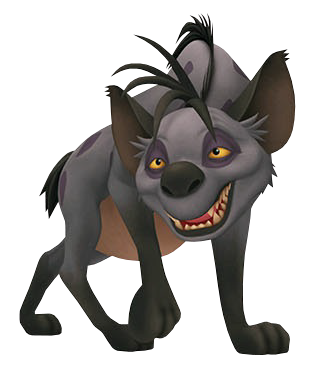 Despite suspicion from Sora and his party, Shenzi has no connections to the Scar ghosts later seen haunting the land, but would still sit back and laugh at Simba's wishy washy rule all the same.